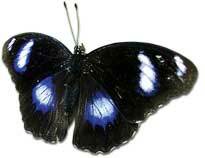 A species of tropical butterfly evolved quickly in the last century. It was facing extinction. The butterfly Hypolimnas bolina is susceptible to the bacterium Wolbachia that only kills the male butterflies and skews the male-to-female ratio. The team compared genetic material from museum specimens with that from the living butterflies. They found that in some butterfly populations, a gene had evolved that suppresses the effects of the bacterium so that infected males can survive. The group is now trying to understand how the gene works (Current Biology, September 10). Geckos drop their tails during fights and the severed tail shows a complex movement-four to eight rhythmic moves along with a couple of flips. This distracts the opponent, giving the gecko time to escape. Researchers suggested that the nerves in the severed tail can function without being linked to a brain or central nervous system. The process provides information which could be used to find cures for people suffering from spinal injuries (Biology Letters, September 9). Exposure to diesel exhaust for a couple of hours a day is enough to give birth to blood vessels that feed tumours. Experiments on mice showed that exposure to diesel exhaust caused a six-fold increase in blood vessel formation in diseased mice and a four-fold increase in healthy mice breathing diesel fumes. There was no such increase in mice breathing filtered air. The exhaust activated a chemical signal and a protein associated with new blood vessel development. It lowered the activity of an enzyme that can suppress tumour growth (Toxicology Letters, online August 14). Efforts to harness more solar energy find relief in special solar cells. Each cell consists of a single carbon nanotube. When such a cell was exposed to sunlight, the narrow nanotube structure caused the carbon electrons to squeeze neatly through the tube one by one. The electrons were gradually excited and caused more electrons to turn mobile. This made it the ideal solar cell as more electrons were released using the same amount of energy from the light which would otherwise be lost as heat in a silicon-based solar cell (Science, September 11). With every 1C rise in global temperatures, flowering in spring will start 11 days earlier. Using data for more than 100 years on flowering and climate, a team constructed a global map to show how plant life will be desynchronized by the year 2080. The botanical calendar of Western Europe, the American Atlantic coast, North Africa will be out of sync with the seasons (International Journal of Climatology, September 9). People living in colder and greyer regions of northern Europe included milk in their diet to get their dose of vitamin D. This addition is said to have taken place about 7,500 years ago. This is how the habit of drinking milk seems to have arisen in those countries. Researchers studied the gene that controls the production of the enzyme lactase needed for digesting milk. They found that people in central Europe were the first to start drinking milk. Reasons for the inclusion of milk in the diet could be that it is a rich source of calories and proteins, more reliable than seasonal crops and less contaminated than water supplies (PLoS Computational Biology, August 27). Scientists know that atoms turn mobile when temperatures rise. A team demonstrated their moves at varying temperatures. In the interaction between water and cyanide, at low temperatures, the boomerang-shaped water molecules held still while each barbell-shaped cyanide ion teetered on one of the two arms of a water molecule. At high temperatures, the cyanide molecule was still but the water molecule danced around. This study is important for scientists who study how pollutants move through water and air (Journal of Physical Chemistry A, September 3).